Photo to the left is from Peters' Facebook page. Sad to hear of the passing of Peter McDonagh (PMcD) on 12 Feb 2015. 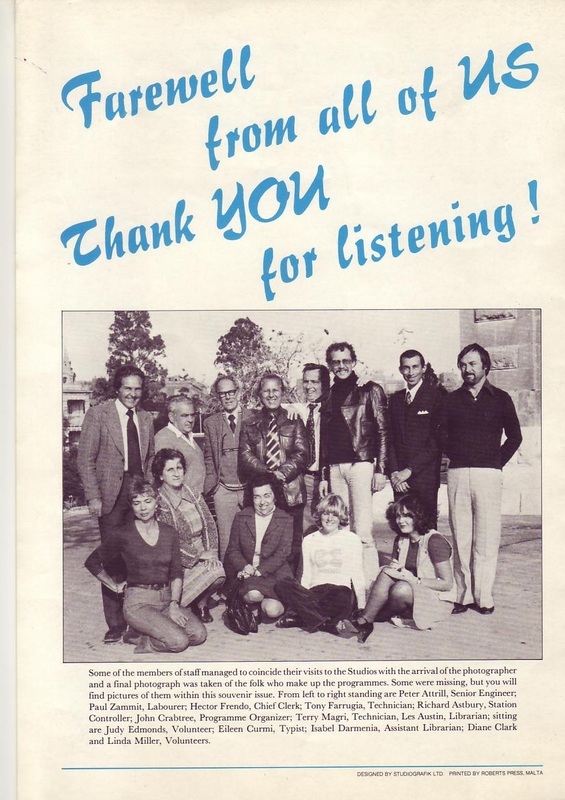 Peter was with BFBS when some of us were in Malta. RIP Peter. 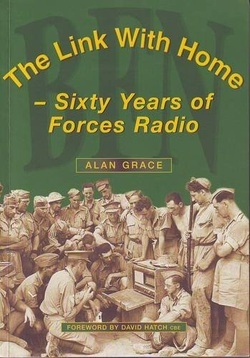 He was only 66 years old and was a former Director of Broadcasting at BFBS. He wrote his memoirs in a book called 'Me and Thirteen Tanks' which was about his times with BFBS from the British Officers Club in Berlin to Directing the company and on to living with Cancer. If you want to know the origin of the title of his memoirs go to this link to listen to Peter explaining it himself. They are available from Amazon and would be of great interest to anyone interested in the history of radio services. Pretty much wherever there were British Military forces you would find BFBS. 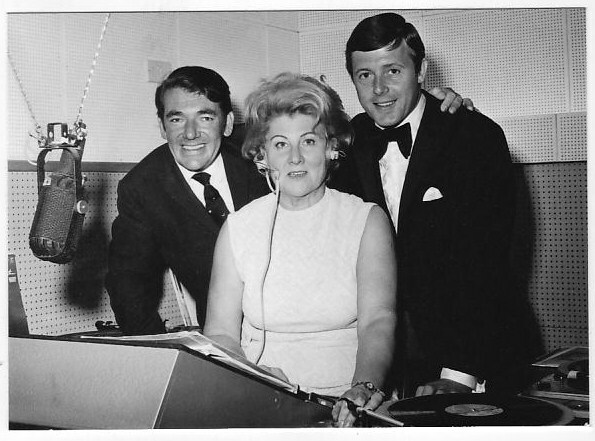 A lot of the time the broadcasters, DJ's and presenters were members of the forces doing it because they enjoyed it. 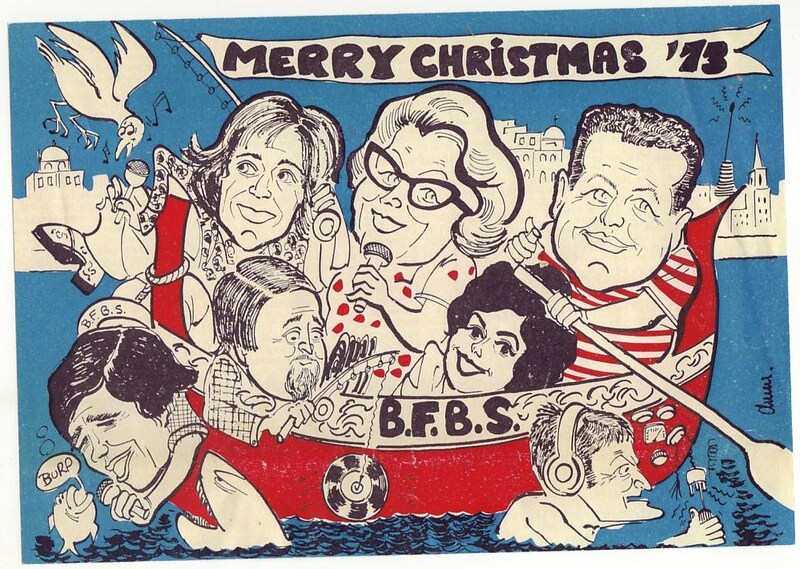 Below we have some memories of working on BFBS at RAF Luqa, Malta, through the years. BFBS Malta closed down on 31 March 1979 with the official withdrawal of the British Forces from Malta. As for the building at Floriana, I handed the keys over to a member of the Malta Government. I subsequently heard that it remained government property but I'm unsure of it's current role. Alan Grace - BFBS Malta, Germany, Aden and goodness knows where else! Alan Grace has an amazing 36 years of history in broadcasting and he has very kindly sent me photographs of the Malta days. I am expecting more and will add them as they arrive. 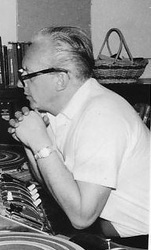 MANY Thanks to Alan, for his kindness and generosity in providing the photographs and information. It is greatly appreciated and they will surely bring back many happy memories and a lot of pleasure to many people. Below I have created the gallery for photographs received from Alan, click on a photograph to expand it and see the relevant comment. No, I'm afraid the photograph is not Alan, it's Hughie Green! I don't have a photograph of Alan Grace yet but when I do I'm afraid Hughie will have to take a back seat in the studio. 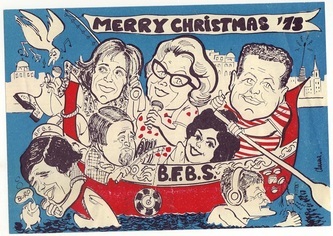 Mark Farrugia was an avid listener to BFBS right up to it's final broadcast. He sent me a link to the last broadcast, by our own Richard Astbury, for which I am very grateful. Mark also sent a photograph of two BFBS mugs that he owns, what a treasure to have and bring back those great memories. 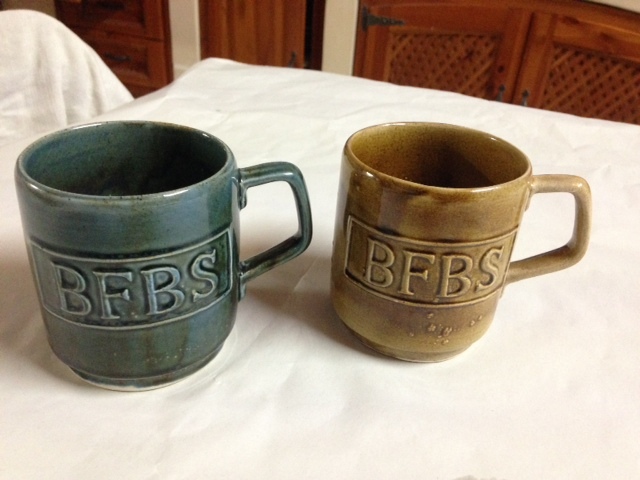 I am proud to treasure 2 souvenir BFBS mugs which I had bought from the station at St. Francis Ravelin in Floriana before it closed down." 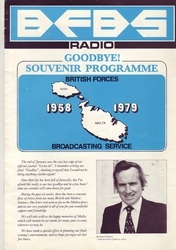 I was on the wonderful BFBS in Malta for around 14 months, from 1977 until 1979. That last VC 10, with all those people on, and all those photographs, was 'seen off' by me. All those folks moved back a little when I started the Stad, or Palust , for starting those Conway engines. Because of my work......on TASF, I could only do a Saturday show, from 12 noon until 2, but I certainly had fun playing new releases and album tracks. I had a slight altercation one day, when I played a song entitled 'Between the sheets' . The Admirals wife telephoned to complain, and I nearly lost my job, oh, the 70's. I also did the disco's at the Gladiator, well I played the music, and people moved, a lot more after a drink! Thanks to Bob Croton for his wonderful memories of my work, but at the time he may have said something else.. Since those days I have not been near any decks, just ended up teaching. First the Harrier at Wittering, then 10 years in Saudi Arabia, and now in Jordan. Looking to come back to coming back to the UK soon. I did my stint(s) in Malta between 1971/74. Not a knob twiddler (on BFBS) but through my involvement with Malta Folk Workshop did some recordings for a series called "Local Artist of the Week" where on an early morning show there was a regular spot of us G-string bashers. The BBC guy who did the recordings was John ?? I was there one day and was introduced to an attractive young lady presenter who was on her way to Singapore....a certain Sarah Kennedy. 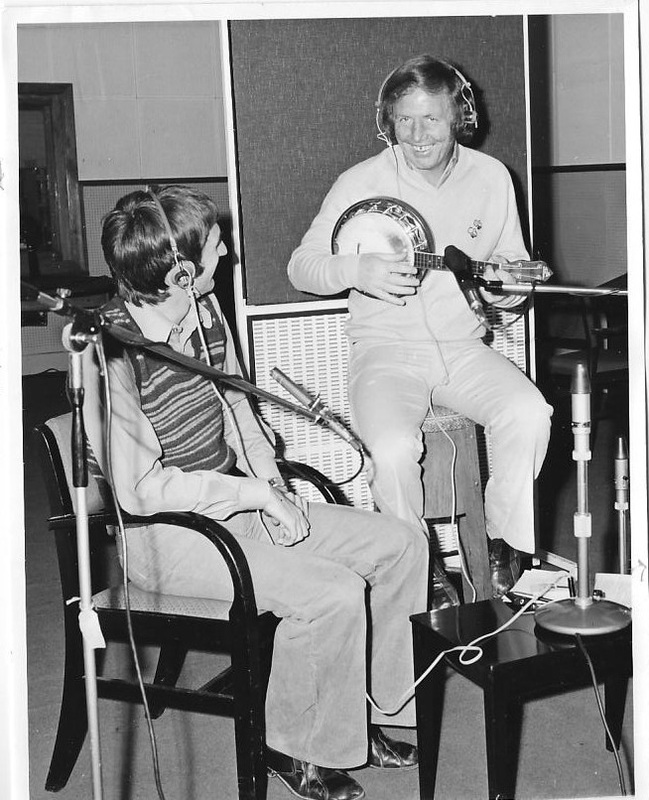 Also had the pleasure of hearing my parents request for a tune for me on "Two Way Family Favourites". 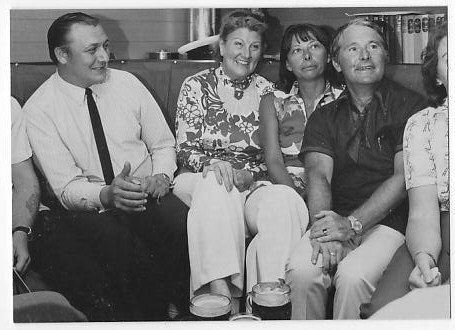 Mary Beecham, John Campbell, Lord Louis Mountbatten and John Stephens during his Lordships visit to BFBS Malta in 1970. During my first tour of Malta, '68-'70, I was a volunteer knob twiddler and button puncher in the Control Room at BFBS Malta. I never went "on air" as my Sarf Yorksheer accent was deemed not suitable for human consumption. Anyone else who was a volunteer at that time, or if anyone has any comments, good or bad, about our efforts there, it would be good to hear from you. A couple of things stand out in my mind about the time I was with BFBS Malta. 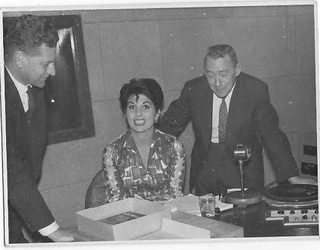 The first being the visit to the Studios of Lord Mountbatten, I had to wear my Best Blues for the occasion and was introduced to him in the Control Room, along with Mary Beecham and a couple of the others that workrd there. If my memory serves me correctyly, it was he that started the original Studios in Malta in the late '40's, please correct me if I am wrong.He did mention that it had changed a bit since his time. The other thing was being a member of the Malta end of Two Way Family Favourites Team. For a long time during the rebuilding of the Studios, the old Control Room also became the Studio, bit cramped in there to say the least with the Announcer, the Knob Twiddler if there was one, two transcription decks and all the other Control Room Equipment. On the Link Up day, Ted King would sit outside the Control Room in what was to become a corridor for the new Studios, it was a standing joke between him and Michael Aspel. Then when Michael came to open the new Studios we showed him where the set up was and he was quite amazed. The rest of the team apart from Ted and myself, was Mary who played the records from our end and a MalteseTech that kept the Link running smoothly, and usually the Station Engineer was hovering around. The records were played at both ends, which is why sometimes there was a pregnant pause between a record finishing and either Michael or Ted speaking. We used Transcription Decks with which Mary could manually vary the speed of the turntable, and for a while we would chase each other to keep in sync until we found out that the Beeb followed us, which helped get rid of the pregnant silences. Happy days, and for me, very rewarding. I have remembered a few names from my BFBS days, anyone know their whereabouts now? 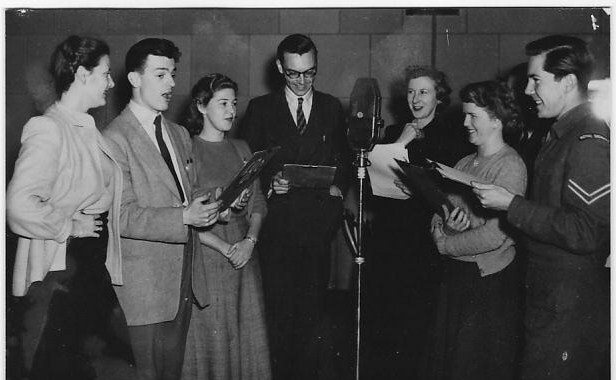 Maggie Smythe, John and Marie Grey, Doreen Baron, Irene Renton, John Mills and my ex wife Mary Beecham. I know Peter Donaldson went on to work a successful career with Auntie Beeb. I would think the old Staion Controller in those days, Ted King, is no longer with us. There were also 3 Maltese Techs working there, but I can only remember the Christian names of two of them, Tony and Joe. I also was involved in a small way with BFBS Malta . Or as we knew it, the Bumbling Fumbling Burbling Service! 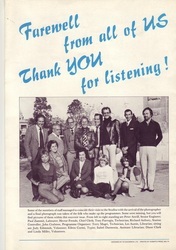 As a member of the Ariel players and Malta folk club I did a few interviews about upcoming shows with varoius presenters.I was a presenter before Malta on Radio St Mawgan and was bitten by the radio bug so I did used to go into the BFBS Studio on Sundays and do mock-up "practice "shows to keep my hand in.Never actually made it to live shows though ! I do recal witnessing a group from the folk club recording a full set one sunday afternoon (Mainbrace? 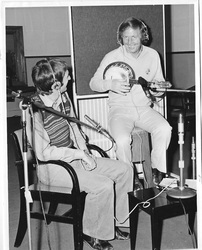 )I think it was recorded by Peter Mc Donagh - known by all as P Mc D I do still have that session on cassette -somewhere! One other, more glamourous presenter I fondly recall -as she interviewed me once -was VAL GANE anyone recall her or where she is now?